Find out how to handle and process payments at UCSD. Credit Memos: Find out how to process and handle credit memos. Human Subjects: Learn about how to make payments to human subjects. MyPayments: Learn about how to use MyPayments for requesting payments and reimbursements. MyPayments has replaced the Payment Authorization process. Payment Authorizations: This has been replaced with MyPayments and will no longer be accessible as of June 30, 2015. 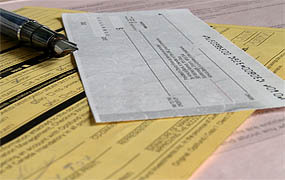 Invoices: Learn about vendor invoices (accounts payable) and UCSD invoices (accounts receivable). Payment Plus: Learn more about UC San Diego's preferred method for issuing payment. Tax Payments: Read guidelines on sales and use tax, California nonresident wirholding, and other tax topics.